This is a guest post from Ashley Middleton, a member of the Design for Learning program, who attended this year’s Distance Teaching and Learning Conference in Madison Wisconsin as one of our scholarship recipients. My head was spinning with new ideas right out of the gate at the Distance Teaching & Learning Conference in Madison, Wisconsin this past August, which I was able to attend thanks to the generosity of a Design for Learning scholarship. I have pages and pages of notes! I was also lucky to find other attendees who were open to sharing their experiences as instructional designers. My biggest takeaways have been competency-based education assessment, how to innovate in a culture that might not want you to innovate, and that ungraded discussions engage students. I was also able to sit at a roundtable about career paths in instructional design, which was fantastic. 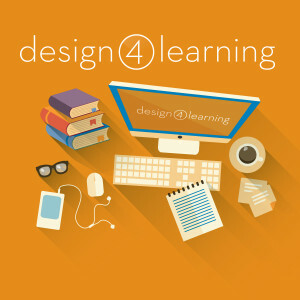 I talked a bit about Design for Learning, and many were impressed with the program. Software/websites showcased included Flubaroo (an add-on for Google Drive), EDpuzzle, Dotstorming, VideoAnt, Thinglink, and Touchcast.com. Here were a few of my favorite takeaways, but this is in no way exhaustive. Are we archiving instead of teaching? Just digitizing face-to-face learning without good digital pedagogy? Will we digitize — are will we use technology to tackle tough problems? If you want to try something new, try something small within a larger project. (What’s the smallest piece you can bite off?) Just do it as a test (pilot, beta) and don’t make a big fuss over it. If it’s just a test, people are more willing to try it. Copyright for Online Designers & Faculty with Dr. Thomas Tobin showcased a Four-Factor Test for determining fair use, shown for example on Stanford’s Measuring Fair Use: The Four Factors. He also has YouTube videos on the subject. This session was run by Sandra Huston of Texas Tech University, who runs courses on personal finance for university students. Of course, Sandra dealt with more nuances than what I’m able to easily share here. I’m hoping I’ve understood this well enough to explain it, because it’s a game-changer for me. This session focused on a paradigm shift: no grading. Traditionally, the criteria for grading has been something like you’re required to post once, and respond to another student. This is not a natural discussion! And if you’re having a discussion where there’s no right answer, why are you grading it? So they ran a beta test with one instructor: no graded discussions, purely volunteer. Instructors also don’t give students answers; they facilitate discussion and point students towards ways to find answers on their own. What happened? To combat the lethargy, after every topic, instructors started grouping student grade data into engaged posters, occasional posters/students who at least read the boards, and students who don’t bother with the forums at all. They posted the average scores for these three groups at the end of each topic/week, so the students could see that using the forum correlated with a better grade, despite not getting graded directly on forum use. As the weeks/topics went on, more students engaged with the forums. By the end of the course, Ignorers went from 35% to 1%. Almost everyone was at least lurking on the forums. They may not contribute, but often post to thank their fellow students for sharing information. The courses have more student persistence, and fewer failures. Summary: There was so much to learn…there’s no way I can fit it all here. More excellent keynotes, such as Karl Kapp’s on gamification (incorporating PollEverywhere.com and the audience’s mobile phones). This was the tip of the iceberg. I hope I can go back next year! Thanks, D4L!